Prof. Tarik Taleb is currently Professor at the School of Electrical Engineering, Aalto University, Finland. He is the founder and director of the MOSA!C Lab (www.mosaic-lab.org). He is also Professor at the Center of Wireless Communications, University of Oulu, Finland. He is leading one of the four strategic research areas of the 6G Flagship Program, Mobile Edge Intelligence. Prior to his current academic position, he was working as Senior Researcher and 3GPP Standards Expert at NEC Europe Ltd, Heidelberg, Germany. He was then leading the NEC Europe Labs Team working on R&D projects on carrier cloud platforms, an important vision of 5G systems. Before joining NEC and till Mar. 2009, he worked as assistant professor at the Graduate School of Information Sciences, Tohoku University, Japan, in a lab fully funded by KDDI. From Oct. 2005 till Mar. 2006, he worked as research fellow at the Intelligent Cosmos Research Institute, Sendai, Japan. He received his B. E degree in Information Engineering with distinction, M.Sc. and Ph.D. degrees in Information Sciences from Tohoku Univ., in 2001, 2003, and 2005, respectively. Prof. Taleb’s research interests lie in the field of architectural enhancements to mobile core networks (particularly 3GPP’s), network softwarization & slicing, mobile cloud networking, network function virtualization, software defined networking, mobile multimedia streaming, inter-vehicular communications, and social media networking. Prof. Taleb has been also directly engaged in the development and standardization of the Evolved Packet System as a member of 3GPP’s System Architecture working group. Prof. Taleb is a member of the IEEE Communications Society Standardization Program Development Board. As an attempt to bridge the gap between academia and industry, Prof. Taleb founded the “IEEE Workshop on Telecommunications Standards: from Research to Standards”, a successful event that got awarded “best workshop award” by IEEE Communication Society (ComSoC). Based on the success of this workshop, Prof. Taleb has also founded and has been the steering committee chair of the IEEE Conf. on Standards for Communications and Networking. 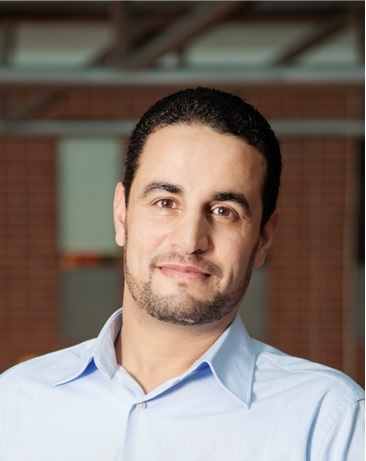 Prof. Taleb is the general chair of the 2019 edition of the IEEE Wireless Communications and Networking Conference (WCNC’19) to be held in Marrakech, Morocco. He is the guest editor in chief of the IEEE JSAC Series on Network Softwarization & Enablers. He is/was on the editorial board of the IEEE Transactions on Wireless Communications, IEEE Wireless Communications Magazine, IEEE Journal on Internet of Things, IEEE Transactions on Vehicular Technology, IEEE Communications Surveys & Tutorials, and a number of Wiley journals. Till Dec. 2016, he served as chair of the Wireless Communications Technical Committee, the largest in IEEE ComSoC. He also served as Vice Chair of the Satellite and Space Communications Technical Committee of IEEE ComSoc (2006 – 2010). He has been on the technical program committee of different IEEE conferences, including Globecom, ICC, and WCNC, and chaired some of their symposia. Whilst the vision of 5G started taking shape after the completion of the 3GPP Phase 1, important enhancements to the network architecture are expected within beyond 5G standards activities, leveraging emerging technologies (e.g., artificial intelligence and deterministic networking) to truly accommodate URLLC services and to render networks cloud-native. This talk will shed light on some of these activities, with every hope to define a roadmap for activities relevant to beyond 5G networking.